BigTime Literacy: The "Summer Slump" and a big thank you APTT Parents! 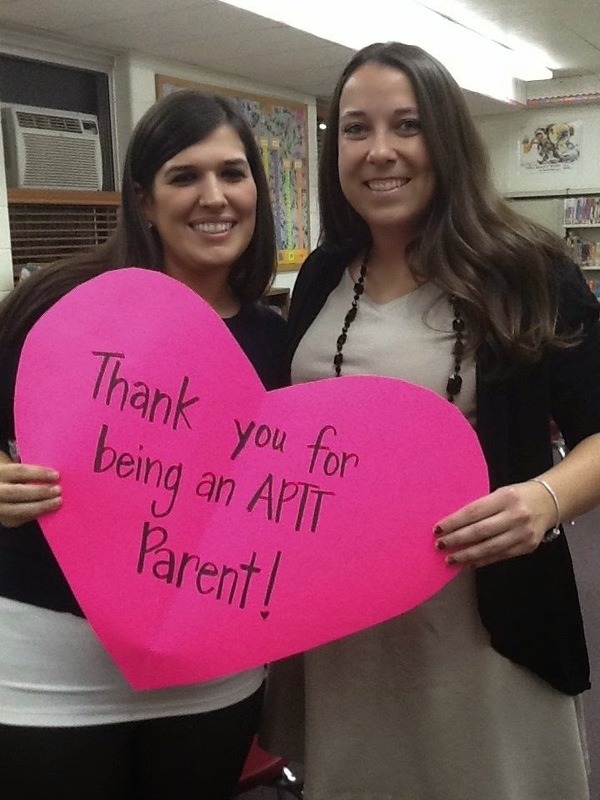 The "Summer Slump" and a big thank you APTT Parents! I love my job. Like seriously love, Love it. And it's because of the great people I get to collaborate with....teachers and parents! Parents joined us at 6 and their children played in the kinder room with some of the National Junior Honor Society students from the middle school. Together with the parents, Ms. Optie and I shared about the Summer Slump (Click here for our presentation to learn more about that) and then offered up a bunch of ideas for working towards increasing reading development over the summer. Set weekly reading goals - just talk at the beginning of each week with your child to make sure you have a plan for reading throughout the week. Follow up the following week to see how it went, and then plan again. Make this an ongoing conversation. Read and discuss books together - It's just this simple! Create a ritual around this - at bedtime, after breakfast, at lunch in the backyard - whatever works. The big idea is just that parent and child read together and then talk about the book. No reports. No worksheets. Nothing to make this authentic practice feel like drudgery. Just reading and talking, like real people do in real life! Share a dialog notebook together - this is just a basic notebook (I prefer composition notebooks so pages aren't torn out) but a notebook where child and parent write letters (or draw pictures) about books and then write back and forth. Not only will your child think about the books they've read, but they'll write about it and then have to read your letters (or pictures) too. Again, letter writing is an authentic practice we use in real life, so this is a great experience. One more thing: Make a big deal of picking out the notebook. Take your child to the store with you, and pick out a notebook that's really special. Or, a plain one and decorate it. This will make it their own and they will take extra care and pride in it! Share books with friends, neighbors, family...anyone who wants to get together to talk about them! Meet for lunch in the park and bring books. Everyone shares what they've been reading! As we talked about this, our parents had ideas about doing it around a campfire or at night with flashlights. We thought about maybe doing "Breakfast and Books" and they parents invited the teachers. LOVE! Social outings around books always increase engagement with them! Routine library visits - I'm sure your local library has lots going on in the summer! Plan to meet up with friends or family and their kids to make it social. Be involved with library events! Reading "Dates" - I don't have any kids of my own, but I always pictured myself taking my little ones (one day) to Barnes and Noble or any other book store, getting a coffee (or chocolate milk) and sitting in the cafe reading and enjoying one another's company. Make a reading date to see a movie of a book you've read or to go to a museum downtown, bring your books, and have lunch and reading in the park. What other ideas do you have? 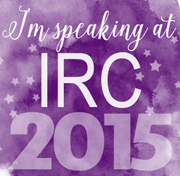 Any way to make reading special and social will be awesome! Use social media - Blogs, Facebook, & Twitter - Set up a blog with your child write about books together. Then, share with the world! (In fact, if you do this, I'd love to have family blogs linked to BigTime Literacy, so let me know if this is something you do!) You can also follow lots of authors and characters on Twitter. Read a book and then Tweet the author or character. In many cases, they will write back! Additionally, there are tons of teacher blogs with lots of great ideas for teachers and parents to try out! 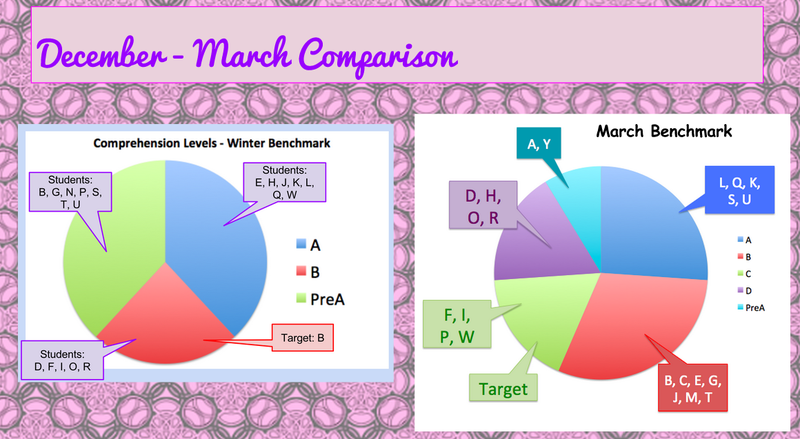 Whole classroom data is shared, anonymously, so parents can see where their child is performing in relation to the other students in the classroom. We had a discussion about what we noticed, and then asked parents to share what they've been doing in the home to support their child's growth. This collaboration among parents and with teachers shares great ideas around the room to families all throughout our school! We finished up by having parents create a Summer Reading Plan so they have some ideas of what they'd like to do while their children are away from school. Parents left the plans with us today so we can make a copy, but then we will send them home this afternoon. What a great meeting! Thank you to all the parents who came out to see us. Ms. Optie and I are so thankful for your collaboration and we look forward to what comes next for APTT meetings! Let's keep the conversation going! 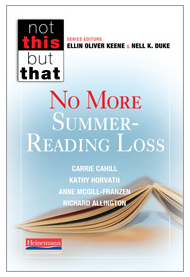 What ideas do you have for summer reading activities? Please share in our comments below! That book looks like a really interesting read, perhaps I will have to check it out this summer. Is the APTT something unique to your building? Did you or a coworker start it? How do you come up with topic ideas? I am always interested in increasing the communication between home and school....and this seems like a great idea to try. Do you all still have a PTO/PTA in addition to APTT? Thanks...and sorry about all of the questions! Hey Katie! APTT is actually from my old district in Phoenix, Arizona - it's the Doctoral Study by Maria Paredes at Arizona State (look her up on google - you'll find lots of info!) As far as the topics, we kind of just plan what the parents need to know - this year we did lots with all the assessments their kinders get - we did Letter Name Fluency, Letter Sound Fluency, Sight Words, Comprehension...etc. We brought books of various reading levels to show them the progression. You can really present on anything you want - you just have to (1) show class-wide data anonymously, (2) provide aligned activities to support growth at home, and (3) have parents set goals for their children that they are responsible for helping children achieve. Additionally, APTT is meant to get parents networking and collaborating together, so having them do an Icebreaker and get to know each other, discuss data and what they notice together - this is all very important. I guess I need to write more about this! 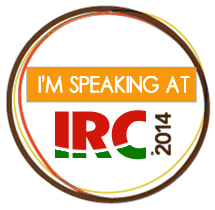 :-) I actually want to post again and link all three presentations we did. I'm in the process of making a parent survey for it, too, so once I have their feedback, I'll probably write more about it. 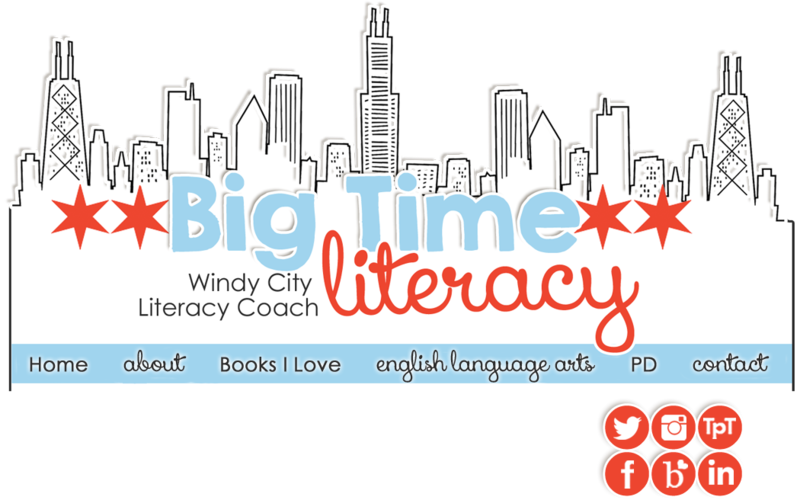 If you have any questions, you can email me at bigtimeliteracy@gmail.com. I'd love to help! Thank you so much for answers all of my questions! I presented this idea to my principal and school counselor....actually I let them read your blog post, and they loved the idea! I may be contacting your next year, when we try to get this up and running in our school. Meanwhile---I will search for that doctoral study and start reading. Again--thank you!!! SOL: Let those kisses fly! I super puffy heart LLI! a very late Five for Friday! I'm "Daring Greatly" and Writing Poetry!